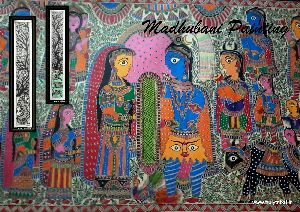 Madhubani, literally means “Forest of Honey”, (‘Madhu’-honey, ‘Ban’-forest or woods), is an art form done in the “Mithila” region on Bihar & Nepal, thus also known as “Mithila Art”. 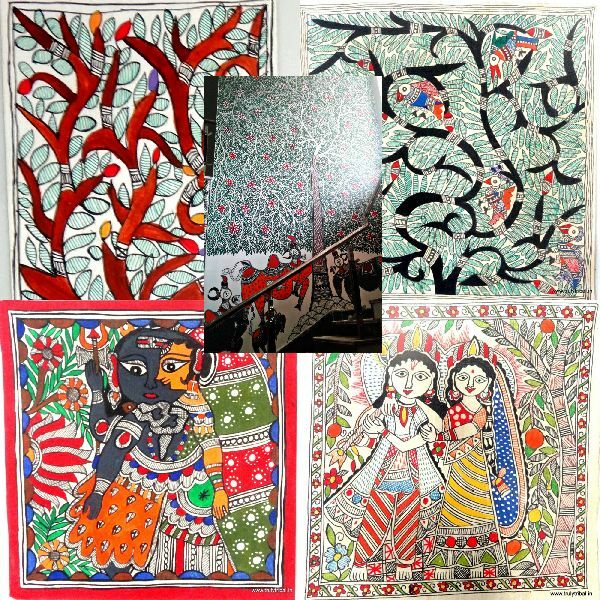 These eye catching paintings are for every occasions and festivals. 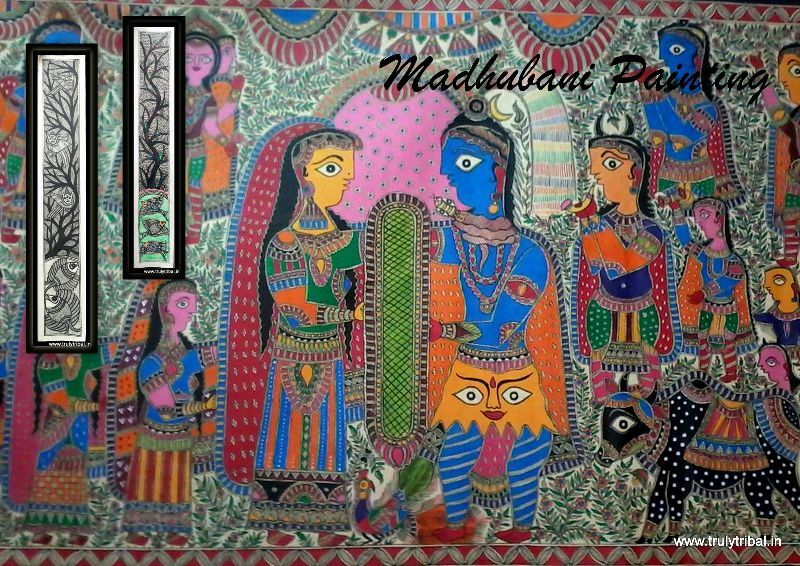 The first reference to these paintings dates back to the time of Ramayana, originated around Ram-Sita's, wedding. Predominante themes are nature & mythological events. 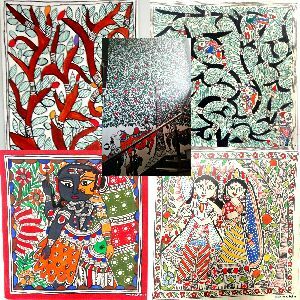 Strong characteristics are; Usage of vibrant natural colours; no empty space on the canvas, with minimal shading. Almost anything can be used as brushes from fingers, sticks & twigs to now even nib pens & matchsticks.